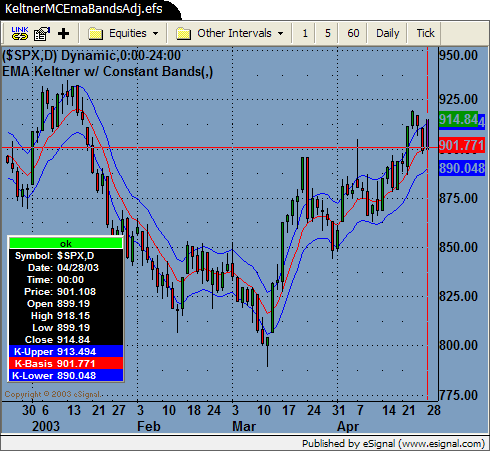 Keltner study with bands based on a fixed multiplier constant expressed as a percentage of the basis line above and below the basis line. nInputLength: Default is 8 (length for EMA). nMultiplierConstant: Default is 0.013 (number may also be entered as 1.3).